PwC has published its annual Worldwide Tax Summaries - Corporate Taxes 2017/18, the latest compilation of worldwide corporate tax rates and rules. As governments across the globe are looking for greater tax transparency and an increase in cross-border activities, tax professionals can use the guide to access the current tax rates and other major tax law features in a wide range of countries. The free guide, accessible to all, is written by local PwC tax specialists and features 157 country summaries with over 2700 pages of data covering countries from Afghanistan to Zimbabwe. The guide features recent changes in tax legislation and includes key information about corporate income taxes, deductions, group taxation, credits and incentives, withholding taxes, indirect taxes, and tax administration. “Tax systems are evolving around the world all the time, and for business that means keeping up to date with all elements of tax compliance locally and internationally.” said Colm Kelly, Global Tax & Legal Services Leader, PwC. Last year, the website version received over 3.5m page views, a 40% increase on the previous year. Worldwide Tax Summaries (WWTS) is available as an ebook for download, a PDF file, and online at www.pwc.com/taxsummaries. The WWTS website is now fully mobile compatible giving you quick and easy access to regularly updated information anytime on your mobile device. It allows users to search for information on over 20 categories of corporate and individual tax information and is updated within approximately 30 days of significant tax developments, with dates provided for the latest revisions. 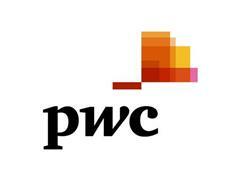 There is also a listing of tax specialists at PwC member firms around the world who can offer advice and support. Worldwide Tax Summaries content is also accessible through Tax Analysts at www.taxnotes.com.